A man walked into a bank in New York City one day and asked for the loan officer. He told the loan officer that he was going to Philippines on business for two weeks and needed to borrow $5,000. The bank officer told him that the bank would need some form of security for the loan. Then the man handed over the keys to a new Ferrari parked on the street in front of the bank. He produced the title and everything checked out The loan officer agreed to accept the car as collateral for the loan.The bank’s president and its officers all enjoyed a good laugh at the guy for using a $250,000 Ferrari as collateral against a $5,000 loan. An employee of the bank then drove the Ferrari into the bank’s underground garage and parked it there.Two weeks later, the guy returned, repaid the $5,000 and the interest, which came to $15.41. The loan officer said, “Sir, we are very happy to have had and this transaction has worked out very nicely, but we are a little puzzled. While you were away, we checked you out and found that you are a multi millionaire. What puzzles us is, why would you bother to borrow “$5,000”. Well thats how the rich stay rich, they know a lot more about Money Management. All the millionaires I have met in my life were penny wise. Look after your cents and the Dollars will look after themselves. the simplest and fastest way to become rich is still to inherit from a family member. Sure, not everyone has the “rich uncle” in America. Or maybe some just don t know that they have one. A good way to find out is to register at http://www.famillion.com (it s free) amd let the system merge your tree with related trees! One day I wanna be a millionaire. I’m very smart for business and I think I have a unique mind. I just wanna say that, Kisses and Peace. Please check post 16 by Malum. And I want to know the answer for the same. Why would a millionaire or a billionaire not park his vehicle(ferrari) in his garage rather than leaving it at the bank? In my opinion the millionaire has wasted $15+. I knew I was spending too much money to park my car. I could have used that money for smarter investments.. Thanks to you, now I know how to do it. The only question is whether my local bank, with this ‘bailout’ scam, will have enough money to give me a loan of even $3,000 for my brand new Lamborghini. Also, I will be able to immediately know whether someone is a millionaire or not by simply asking him/her where he/she parks his/her car!!! That’s very useful. Your article points to the fact that there is a VAST difference between the WAY millionaires think and the ‘way’ poor people think. And it was worth reading it. GREAT work! Generally I do not post on blogs, but I would like to say that this post really forced me to do so, really useful information. “I was speechless. I’d never heard of anything so cheap in my entire life. I laughed so hard I could barely breathe while cognitive dissonance sparked across his face. Soon, he just shrugged and chuckled as I continued my fit. Finally, I wiped the tears from my eyes and asked, “What time is it, Earl? Our clock’s broken.” He didn’t have his glasses on, so he just held out his wrist so I could look at it myself. I read the time, but that’s not all. I like it! and thats the reason why he is a multi millionaire!! 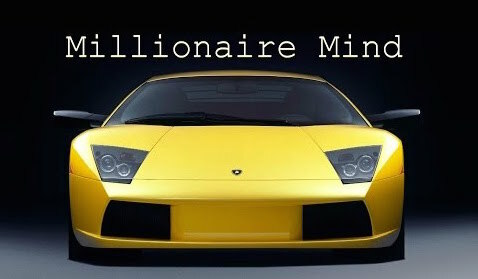 What is said about how a millionaires mined works is true. Like me I don’t spend alot of money ethier. just because you have it does not mean you have to spend it. Its great it might happened in the real world or just an inspiring short story. However this is how the millionaire mindset works. Pretty Funny story. It just goes to show you thinking creatively pays off. I really liked this article! And I am also blogging on how to become a millionaire through entrepreneurship, investments, personal finance and self-motivation. .-= Tyrone | Millionaire Acts´s last blog ..25 Questions to Ask Your Sponsor in MLM =-. Actually funny but so full of wisdom! .-= Al Kind´s last blog ..Needing Cushion Running Shoes? =-. Why would you even own a car in New York? Wouldn’t the millionaire take public transport or cabs? The insurance on that car must have been insane every month! .-= Joshua Zimmerman´s last blog ..Tarantino Loses it in Softbank Commercial =-. Logic says……” A person who owns ferrari would have parking also. or a house where evryday he is parking….dnt u think he would park at the same place”. i am a multi millionare and i dont think like that! Someday I’m gonna be a multi millionaire! though pretty bright,the guy use his thinking and confidence of money to trick the bank. I beloved up to you will receive performed proper here. The comic strip is tasteful, your authored material stylish. nonetheless, you command get bought an nervousness over that you want be turning in the following. sick without a doubt come more previously once more as precisely the similar nearly a lot steadily inside of case you shield this hike. Since when do bankers keep your collateral with them? The collateral is always the paperwork (ownership documentation) that they keep copy of and when you fail to repay the loan, thats when they come and reposes your collateral. If that’s how bankers do it like in this story, then bank parking lots will be filled with cars they given loans for… hahahaaa!! But was a nice story for the laughs!! A nice fairy tale for simpletons. I still see Americans (and not just, but mainly these kids stories come from there) aspiring and idealising millionaires and the flawd way of thinking instead of just concentrateing how to be a a person who can enjoy life without money and greed ticking in mind. I’m read happily all the comments. I learNed a lot and knew the truth..
At least you gave credit to the author Robert Shemin…”How come that Idiot’s Rich and Not Me”..
How a Millionaire’s Brain Works… | Keep It Simple!